Reach out and let our experts bring your vision to life! You want your wedding day to be perfect and so do we! Let us help you plan the day of your dreams. We don't have one perfect location. We have many! 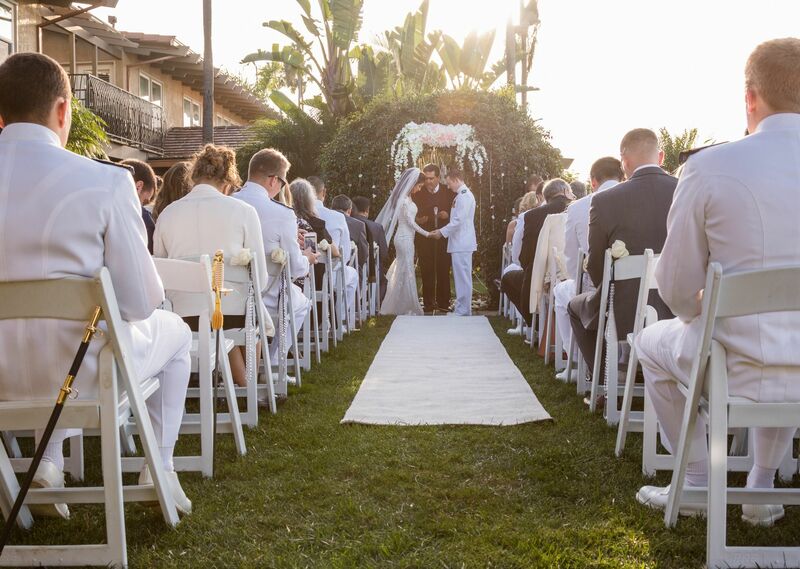 Nestled along the shores of Shelter Island, the Best Western Plus Island Palms Hotel & Marina provides a waterfront wedding setting that is truly spectacular. Ideal for intimate and larger affairs, the hotel boasts reception rooms with seating for up to 150 guests. All of the rooms deliver views of our private yacht marina, Point Loma, and La Playa Cove. 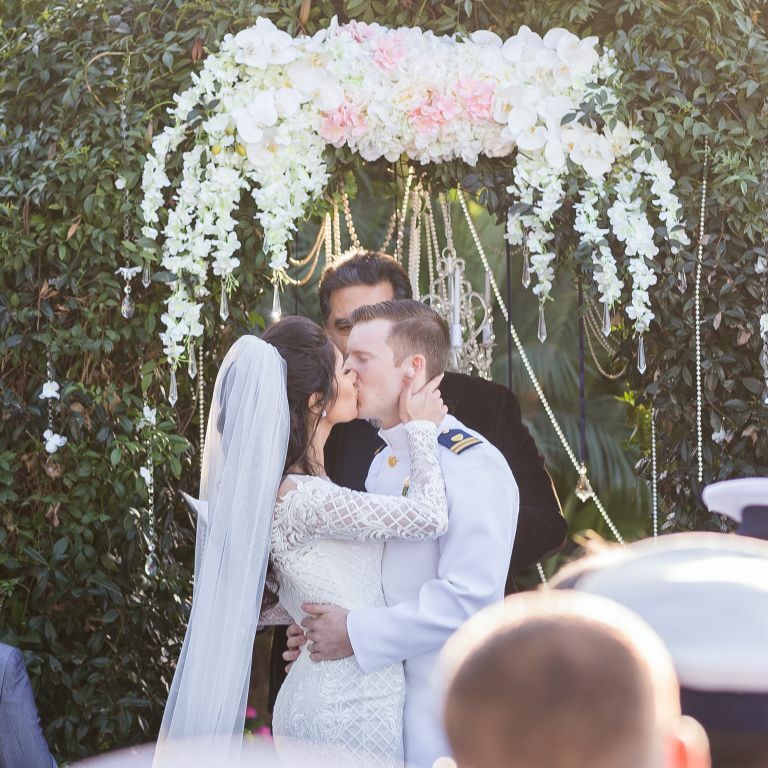 With San Diego's perfect weather, an outdoor ceremony in one of our two waterfront gardens is a year-round option. The Grand Marina Ballroom, set along our private yacht marina, is just steps away from the water. 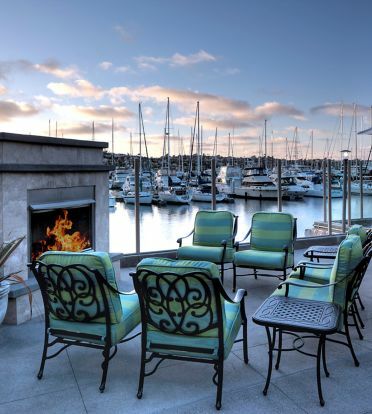 The Sunset Room is elevated a full story above the marina, and offers sweeping views of Point Loma and La Playa Cove. If you plan on having a smaller affair, The Harbor, Bay, and Santa Barbara Rooms offer panoramic water views with a more intimate setting for up to 80 guests. We vow to make your big day a stellar one. Our catering team will guide you every step of the way and help you create the perfect menus. 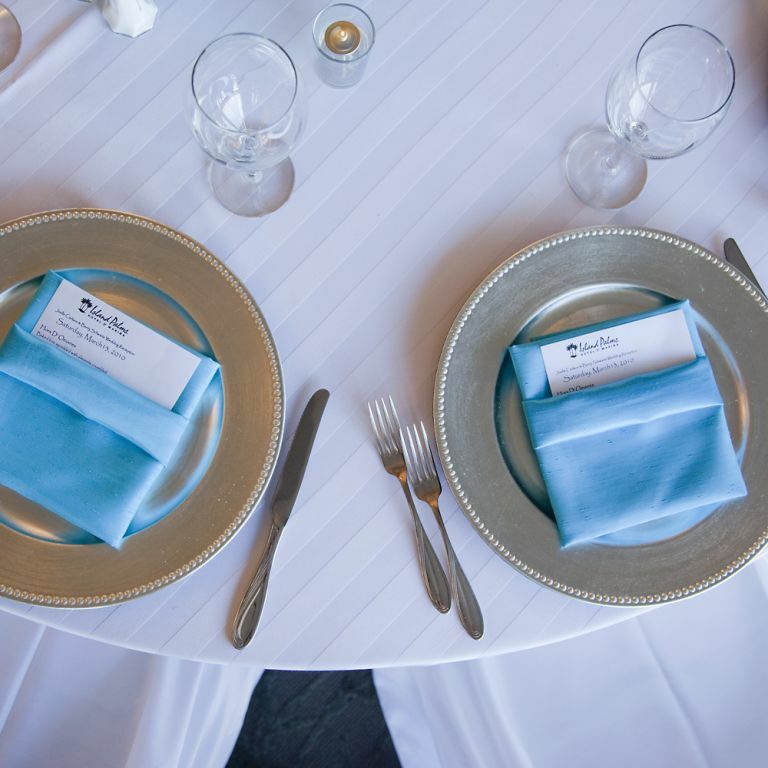 Several packages are offered that cover everything from rehearsal dinners to receptions. 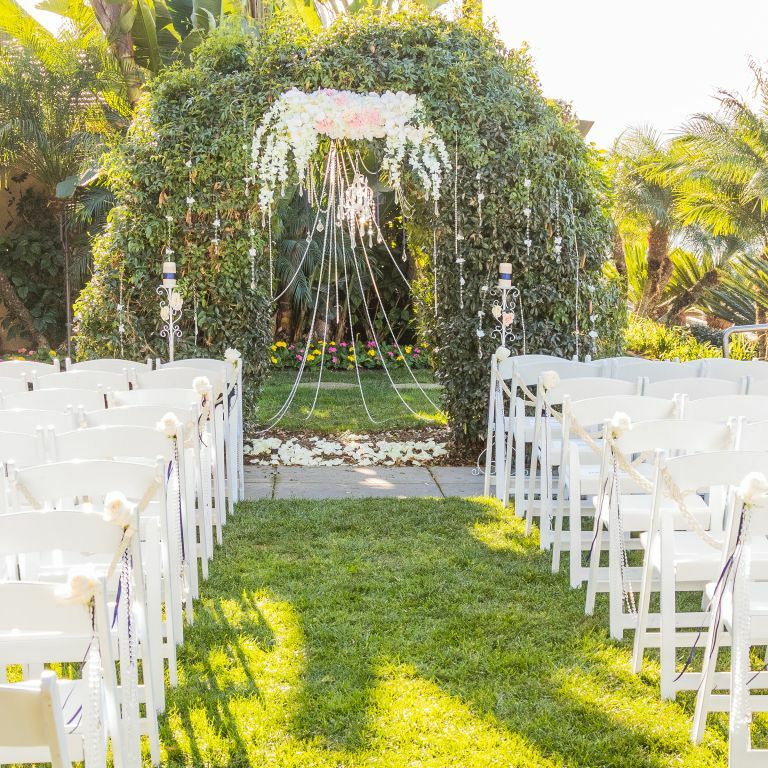 Ceremony garden packages include archway, carpet runner, white folding chairs and PA sound system. Every couple is unique, which is why we feature authentic touches and special event services tailored specifically to your needs. Our special events staff, personalized catering, and breathtaking views make our Shelter Island hotel the perfect location for your waterfront wedding. For more information about having your wedding at the Best Western Plus Island Palms Hotel & Marina, please fill out our Request for Proposal form. A member of our Sales Team will reach out to you shortly, to begin planning your big day! Your perfect San Diego destination wedding is waiting! You've said "I Do", now all you need to know is where to? San Diego's abundant sunshine and year round perfect weather make it the ideal destination for your special day. And with a variety of guestrooms and family suites, the Island Palms is the perfect choice for your San Diego destination wedding. Ask about seasonal specials and destination wedding packages that are sure to please. Bridesmaids Bouquet at Island Palms Say "I do." in our Sunset Garden! Beautiful wedding cake. The perfect wedding venue overlooking our marina! Poached Salmon for your wedding reception dinner. Beautiful bouquets! Hold your wedding reception in our Sunset Room! Stunning table settings. Groomsmen at the Best Western Plus Island Palms Hotel & Marina! A bride is walked down the isle. Sunset Garden photoshoot with the newlyweds! A beautiful wedding set up! Best Western Plus Island Palms Hotel & Marina wedding reception. It's all about the details at the Best Western Plus Island Palms Hotel & Marina! The Bride/Groom table at Best Western Plus Island Palms Hotel & Marina! Together, forever begins at the Best Western Plus Island Palms Hotel & Marina! Wedding reception table set up. Wedding Reception at Best Western Plus Island Palms Hotel & Marina!